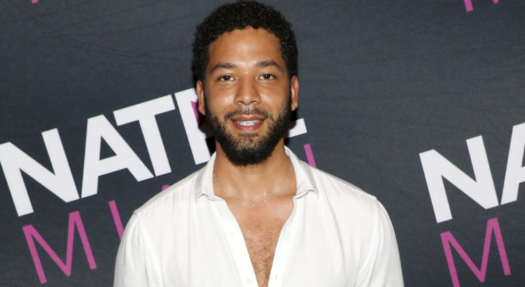 “Empire” actor, Jussie Smollett, 36, has been involved in a hate crime attack early Tuesday morning in Chicago. Smollett was attacked by two people who were yelling racial and homophobic slurs and also poured an unknown chemical substance on the victim while wrapping a rope around the victim’s neck. Sources say the attackers gained Smollett’s attention by yelling out racial and homophobic slurs towards him for him to react. Smollett said in a follow-up interview that his attackers yelled out, “This is a MAGA country.” referring to the “Make America Great Again” slogan to Donald Trump and his presidency campaign. 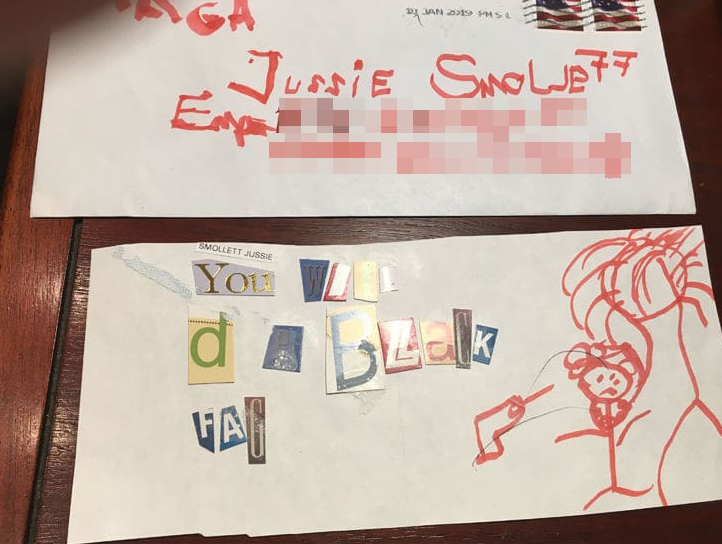 Photo pictured above is letter sent to Smollett at Fox Studios in Chicago, IL. 20th Century Fox Television made a public statement about the attack on the actor on Tuesday afternoon. Social media, fans and celebrities are offering overwhelming support towards the actor. Donald Trump even spoke on the hate attack against Smollett. “That I can tell you is horrible. It doesn’t get worse,” Trump told reporters from the White House. 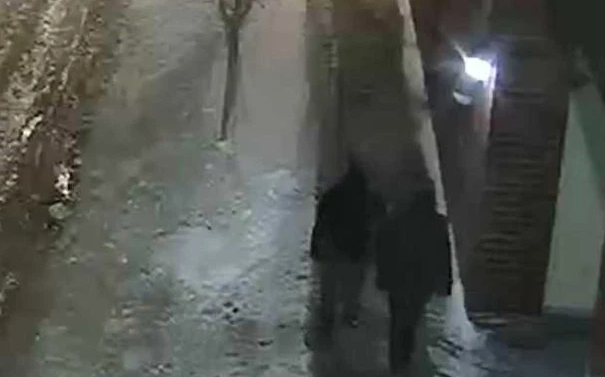 Detectives have collected and are reviewing more surveillance video from neighboring hotels and apartments, but have not found video of the incident. “What happened to Smollett was horrible and is definitely a hate crime. I hope they find the attackers.” – Arianna, LHS student.